While tensions between North Korea and the United States remain high, senior officials from the North Korean delegation at Pyeongchang said their country was open to talks with the United States. The visiting delegation said developments in relations between the two Koreas should go hand in hand with relations between North Korea and the United States, the South’s presidency said in a statement. The North’s delegation met with South Korean President Moon Jae-in at an undisclosed location in the Olympic city. 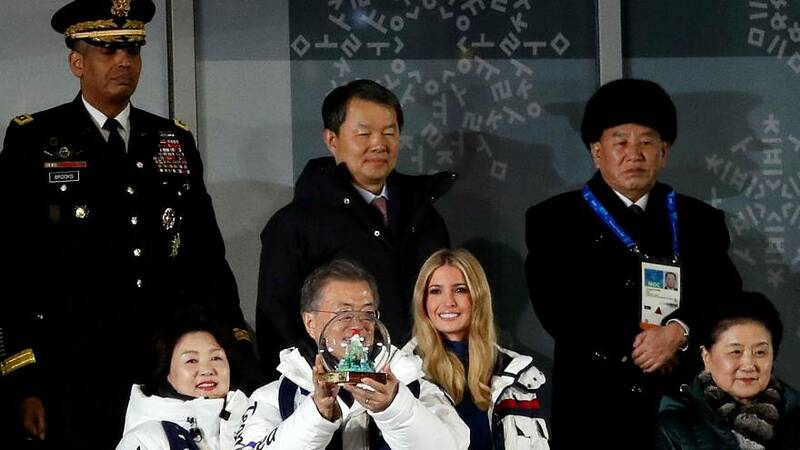 Moon, the North Korean delegation, and US President Donald Trump’s daughter, Ivanka Trump, attended the closing ceremony on Sunday. Earlier this week, North Korean state media accused the United States of stirring up conflict in the peninsula with new sanctions. A blockade by the United States would be considered an act of war, it added.